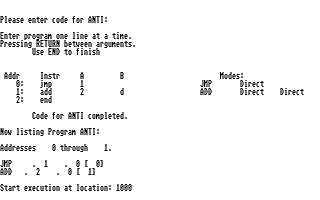 program "loses" when it hits an instruction it cannot execute. ing is relative, so absolute memory addresses are not important. zero, it would move ahead one, normally). tions. 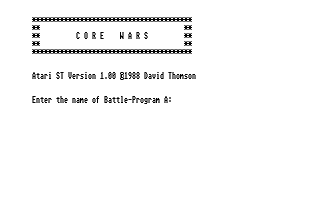 Thus, a Battle Program can move itself around in memory). ally assume an offset of zero, which can have disastrous results. is almost never altered by Redcode operations (except for MOV). tiomns, which Imp can't execute and thus bites it. protection against Imp itself as shown here....). 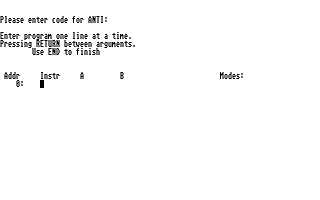 Redcode program files: IMP, ANTI.IMP, ANTIANTI.IMP, and DWARF.